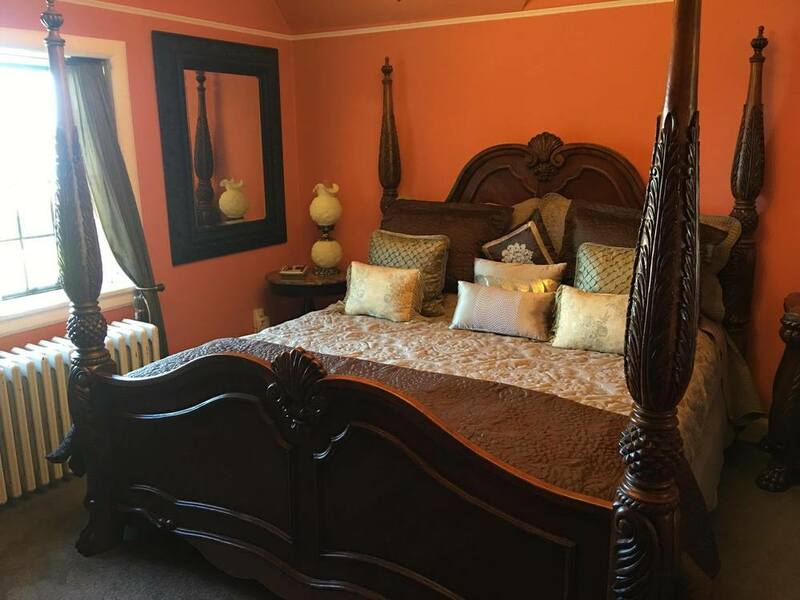 Lord Byron’s Attic suite is located on the third floor, converted from the original “servant’s wing.” This suite is something special, for someone special. Private and quiet, this suite has a king-size four-poster bed in front of a romantic electric fireplace. A heart-shaped jetted tub further sets the mood! The bathroom also features a double-headed walk-in tile shower for two. The sitting room with a velvet chaise is perfect for an intimate breakfast or other romantic interlude. The entire suite is a secluded space with a view of the lake and a few "secret" surprises. The perfect getaway suite for couples on their honeymoon, anniversary, romantic escape, or just a relaxing night out.